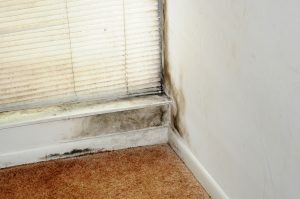 Do you have significant water damage in your home from a disaster or accident? You need a restoration company that can work with your insurance carrier to provide timely, high-quality repairs. That’s where Tuckey Restoration comes in. 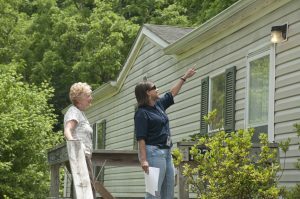 Since 1995, we have been a leading flood restoration company in Carlisle, Shippensburg, and throughout South Central PA. If water damage impacts your home, don’t worry — call Tuckey Restoration, Inc. right away. Assess the situation. If the situation puts you in danger (of electrical shock or otherwise), make sure you and your family stay safely away from danger. Take note of any damaged valuables. If it’s safe to do so, try to remove furniture and other objects from the flooded area. Call Tuckey Restoration. In most cases, all we need is a claim number to get started. Whether or not we’re on their list of preferred vendors, we’ll contact your insurer directly to begin the repair process at once. Our team knows that flooding is as much a personal issue as it is a construction challenge. At Tuckey Restoration, we understand that the best service we can provide as a flood restoration company is to help you live as you normally would while repairs are in process. That means reducing the number of headaches, hassles, and red tape — and it means working with your insurer to resolve your claim in a timely manner. As part of our mission to make water damage restoration as painless as we can, we also help our customers with both phases of the process. 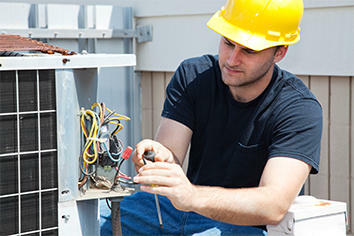 Many companies offer only mitigation or reconstruction services. While mitigation addresses the direct aftermath of flooding, reconstruction gets the area back to its old appearance. Everyone needs both kinds of services after a flood, so why work with two different companies along the way? We’re pleased to be a full-service restoration contractor, handling both the mitigation (or emergency response) and reconstruction phases of your project. We are a preferred vendor for a number of major insurance carriers and a member of national industry associations. Our company maintains memberships in the Restoration Industry Association, Associated Builders and Contractors, Disaster Kleenup International, and Crawford Contractor Connection. Leveraging these world-class networks, we have the resources and experience to facilitate the timely – and thorough – resolution of your restoration project. You don’t have to deal with water damage by yourself. For immediate service, please call our hotline at (717) 249-7052 so we can help as soon as possible. If you have questions, complete our online contact form. "we recently had some water damage. the insurance company provided the tuckey company to us. the young man that came to my home was Derek V. we went over what he was going to do to repair our home. since I've done this type of work in my younger years i knew what had to be done. Derek v. was spot on. he is a gentleman that i would trust on any job. he is very knowledgeable on the proper installation and is very knowledgeable about the paint. if i was younger i would enjoy working with this young man. i feel he has a great future with your company as an asset to the future of your company. i thank you again Derek for the wonderful job you did to restore my home to its original settings. Kudos to you young man. thank you Tuckey for sending him. P.S. i would also like to give kudos to your staff in the office for handling my case in a timely manner."